I read a lot of science fiction and one element I am not duly bothered about is feelings. I prefer the imagery of cold steel roaring through space over the relationship between two characters, but without emotions what is the point of a story at all? 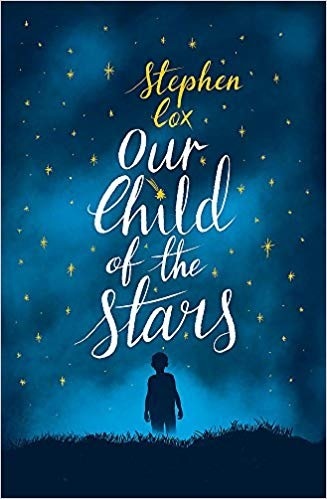 Our Child of the Stars by Stephen Cox is a departure from my normal reading as it takes the concept of adopting an alien and makes the entire book feel very human. When a meteorite hits the sleepy town of Amber Grove it brings with it more than just destruction. This was no meteor, but a spaceship. Molly Myers is a nurse tasked with helping one of the survivors from the ship, a young alien that becomes known as Cory. Having lost a child of her own, Molly's maternal instincts kick in and she will do anything in her power to keep Cory safe. Set during the flower power era of the 60s Child is initially a hard book to get into as it opens with the intense relationship between Molly and her husband Gene losing a child. This forces a wedge between them driving Molly to drink and Gene to another women. It is not helped that Cox uses quite flowery language. Told from the point of view of two romantics some of the descriptions in the book is hard to swallow for a cold hearted person as myself. Stick with the book though and some of this navel gazing pays dividends as Cox produces a fully formed couple that have to deal with the introduction of Cody, a young alien boy. The best element of Child is just how alien Cody is. Film and literature often paints its aliens as humanoids that are basically the same as us, but would people have been so accepting of Superman had be sported tentacles? The fact that Cody is so alien means that he must be hidden and it is the subterfuge that produces the thrills in the first half of the book. As the title moves on it takes on more influences from 80s movies and towards the end it feels almost full Spielbergian. The two halves of the book sit a little uncomfortably against one another, but independently of one another they are fun reads. Your enjoyment of Child will probably settle on how much you like emotional baggage in a book. Cox should be praised for highlighting family ties and love in a science fiction book, but it is a little mawkish in places. The 60s setting does not help this as the book goes full hippy in places. Quozl by Alan Dean Foster remains my favourite book about aliens interacting with humans, but Child makes a good attempt at it, if a little naively. Written on 27th January 2019 by Sam Tyler.